Will Rebranding Classical Music Really Lead to Its Revival? Each passing year seems to bring new opportunities for people creating music – from promoting it via the internet, to increasingly sophisticated composing software. But some are still worried that classical music needs to win over new, young audiences if it is to remain relevant. Recently, one leading orchestra director has even claimed that classical music should be referred to as ‘orchestral music’ to avoid people’s prejudices and revive interest. Would a name change really help to revive classical music’s audience figures and listenership, or is a different approach required? Classical vs Orchestral: What’s in a Name? When it comes to audiences at classical performances, some figures suggest that the numbers haven’t dwindled all that much – from 8.3% of UK adults in 2005, to 7.6% in 2016. What is perhaps more telling, is the research showing that the age make up of this demographic is not changing – a study by the Australian Bureau of Statistics found that the largest proportion of concert-goers were in their 60s and 70s, with younger people significantly under-represented. This apparent lack of interest in classical music among younger people prompted the Royal Philharmonic Orchestra’s managing director James Williams to suggest that it should be rebranded as ‘orchestral music’. Williams believes that it’s the very name ‘classical music’ that is instantly conjuring in young minds visions of stuffy, outdated musical styles and genteel applause at buttoned-up recitals. Is Rebranding the Only Solution? While there is not much in the way of evidence that it’s the name that is preventing new audiences from embracing classical music, Williams may be correct to suggest that the issue is partly one of perception. One study by the University of Sheffield, published in the Journal of Popular Music, found that self-consciousness regarding the formal environment of the concert hall was a major factor preventing a test group of young students from enjoying a classical concert. The etiquette often expected at classical performances is a more recent development than many realise. It was not until the twentieth century that spontaneous applause and vocal audience reactions began to be frowned upon. A greater level of tolerance for enthusiastic and vociferous audience reactions could help to defuse the sort of self-consciousness felt by the concert-goers in the Sheffield study. Another area in which classical music finds itself at odds with the habits of younger demographics is the difficulty it poses to streaming services. The way that we consume music as a society is changing, with revenue from streaming now outstripping both physical sales and downloads. Despite this, classical music is failing to see the same benefits as many other genres, as streaming services find classical pieces extremely difficult to categorise and list correctly. Although several solutions to this have been suggested, including a streaming service exclusively for classical, the most effective solution for existing platforms is simply a more effective use and management of data. While there are many possible explanations for aversion towards classical music from younger audience, Radio 3 controller Alan Davey has his own proposed strategy for boosting interest. As well as finding new and disruptive ways to shake up performances, Davey has insisted that championing a pool of young, diverse talent is the key to ensuring that classical music continues to innovate and reman relevant. 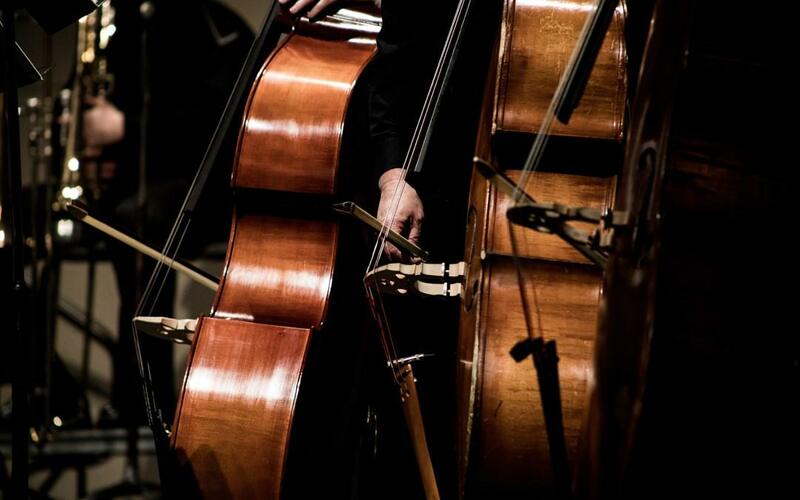 Whether it is through encouraging more people into professional music, or by shifting perceptions, bringing new audiences to classical music can only be beneficial to its future. Here on the Dorico blog, we’ve already discussed how technologies ranging from home recording to music scoring software helped to democratise music, and it is important that this process is extended to every level of the classical music world. You’re not addressing a key part of the problem. I studied with a major US orchestra, so I’d like to think I know something about it. It’s arrogance. It’s that classical music is better than other music genres. There are younger “orchestral” composers out there who want to write music that a younger audience likes, but they struggle because it’s beneath orchestras to play it. There are some age biases, I will give you that. And of course demographics dictates the money orchestras make, which determines what’s played, and orchestras don’t want to upset the money flow. But maybe try! Try something new that’s marketed to a younger audience. It’s just like cars. Cadillac has a reputation as an old person’s car; and they’ve had a very hard time trying to shake it off—but they are trying with certain models. Really, it’s the same situation with orchestras, so try! I think it’s simpler than all this is made out to be. For the last 200 years, we have been transitioning to instruments that can create chords by one player. Take a guitar for instance… its popularity as an instrument is that it is (relatively) cheap, plays chords, doesn’t require a bow, and is enough to give a full melody and harmony alone. Orchestral instruments aren’t designed that way, of course. Same thing with a piano. It’s only getting more severe as electronic instruments can sample and play back chords of an entire orchestra through mapping and a keyboard. Of course this isn’t to say that orchestral music is unpopular because other instruments are more popular alone. You just can’t “grow up” with an orchestra because it’s not financially viable. Kids don’t get in their garages to bang out string quintets… they grab guitars and keyboards. And once down that road, it’s pop culture. Orchestral won’t ever make a comeback as long as it’s more expensive to see than a rock concert, but because of its nature, it has to be. Musicians deserve to make money for their craft, but in the same way marching bands are festival and academically driven for these same reasons, the scale of ensembles matters for adoption. Maybe just as important, orchestral music foregoes singing and lyrics, so each generation doesn’t get a say. A guitar, a voice, a song, 3 chords, and poor lyrics will never replace orchestral as a genre, but it will always be the music of the people. If orchestral wants to be relevant again, it’s going to have to accept that 6-12 piece ensembles are going to be the way to make money. It will never replace 85 musicians in a hall, but acceptance isn’t the name; it’s the evolution towards relevance, toward profitability, towards embracing electronics, and towards the idea that orchestral as a genre is timeless – and must convey itself that way by interjecting into relevant popular music. And before you say “wait wait that’s not possible”, that’s exactly what JAZZ does.